I will send reminders and updates as the performances approach; consider this a "save the date" notice. 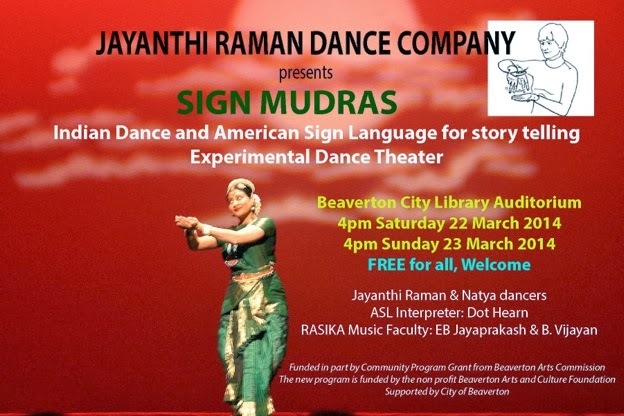 Jayanthi Raman is working on a project combining East Indian dance, traditional Indian mythology, modern mythology, and American Sign Language. There will be two free performances in March 2014. The space is limited and Jayanthi Raman Dance Company performances are always well attended so you will want to plan on arriving early to get a seat.